“Today, like every other day, we wake up frightened. Don’t open the door to the study and begin reading. 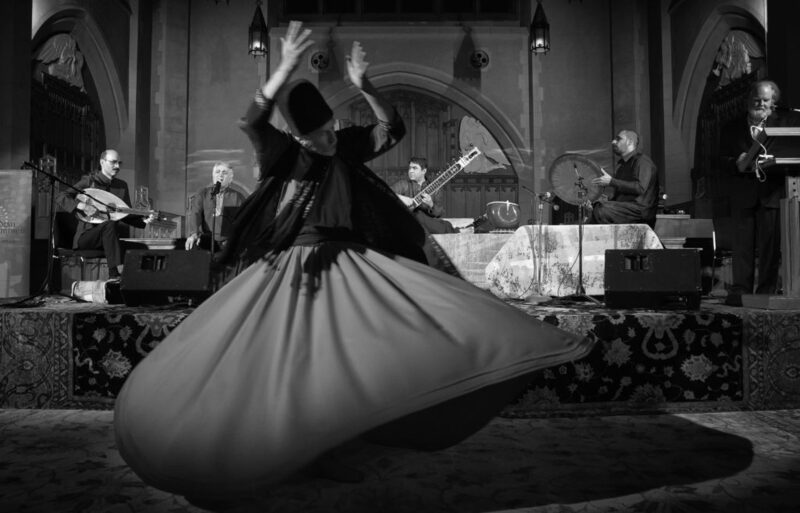 If Rumi is one of the best loved and most widely read poets in North America, then that is largely due to the efforts of American poet and interpreter Coleman Barks. Barks’ interpretations have sold more than half a million copies, and is credited with giving Americans a rare and nuanced view of Islam, at a time when the country’s relationship with the Islamic world is so fraught. I was commissioned by Indian Summer Festival to curate the music for Coleman Barks Vancouver appearance in 2014. With myself on sitar, Hossein Behroozinia on barbat, Jamal Salavati on voice and Hamin Honari on percussion, we traced Rumi’s own life journey by playing music from Afghanistan, Iran and Turkey. This evening of divine poetry and music took place in the stunning setting of St. Andrew’s-Wesley United Church, doing justice to Rumi’s words – there are a hundred ways to kneel and kiss the ground.